I had completely forgotten that you could make a homemade candy that tasted like butterfingers using candy corn and peanut butter. Kristan first introduced me to the idea when she shared her candy corn butterfinger owl pops. It wasn't until I saw these cute candy corn pops that use the same recipe that I remembered the magical candy corn and peanut butter combination. We might just have to try this out in celebration of Columbus day. 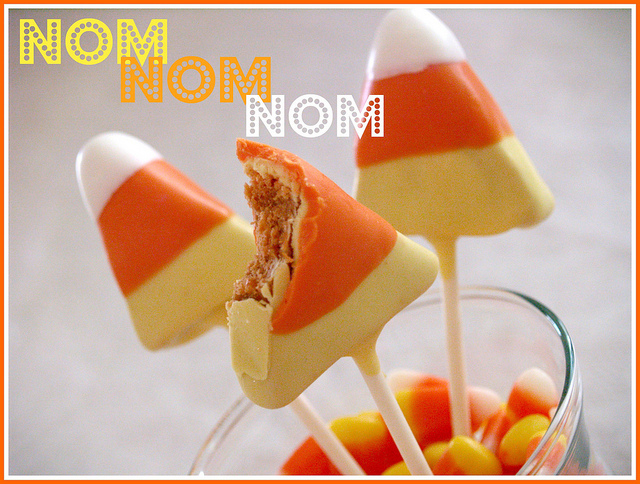 You can see the tutorial for these candy corn butterfinger pops over at Blog 5 to 9.